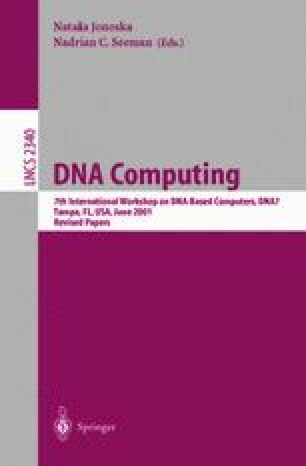 The computation language of a DNA-based system consists of all the words (DNA strands) that can appear in any computation step of the system. In this work we define properties of languages which ensure that the words of such languages will not form undesirable bonds when used in DNA computations. We give several characterizations of the desired properties and provide methods for obtaining languages with such properties. The decidability of these properties is addressed as well. As an application we consider splicing systems whose computation language is free of certain undesirable bonds and is generated by nearly optimal comma-free codes. Research partially supported by Grants R2824A01 and R220259 of the Natural Sciences and Engineering Research Council of Canada.